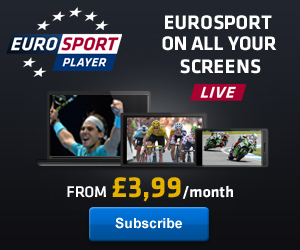 British Eurosport is dedicated to showing live broadcasts of Football, Cycling, Motorsport, Tennis, Snooker, Wrestling, Equestrian, Touring Cars and many more. WherestheMatch.com is designed to show you the most up-to-date, comprehensive and accurate listings of Horse Racing on TV in the UK. Try our free, user-friendly website and view the listings of all the upcoming Horse Racing streams on TV - simply click on the tabs to view Horse Racing on TV Today, Live Horse Racing on TV Tonight, Live Horse Racing on TV Tomorrow or Live Horse Racing on TV This Week. We include the listings schedules of all the biggest Live Horse Racing on Television broadcasters in the UK including At the Races, Racing UK, ITV Horse Racing & Channel 4 Racing.